Excellent & interesting –thank you! I wonder: when I make pico de gallo type salsa, I salt my tomatoes, put them in a strainer, and then cook down the resulting juice from, say, a cup or so to a tablespoon or so, and once cooled I add it back in. I like the super acid-y tomato-y boost this gives my salsa. Any thoughts on how this might impact a fermented salsa such as yours? Have you found that you stir up the salsa before using each time? 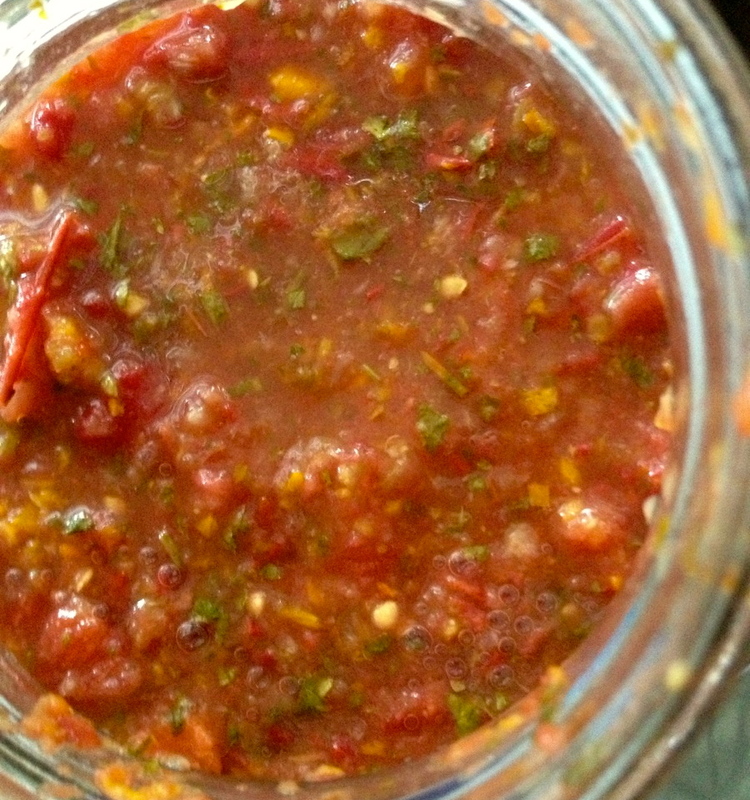 Or do you tend to scoop a bit of salsa out to use and don’t stir to combine? I will be making this, and look forward to it very much. Well, cooking kills bacteria, which is not really optimum for a fermented recipe. I’m sensitive to the thickness problem too, so I understand. If I use paste tomatoes, they actually stay rather thick, much thicker than cooked canned salsa, so maybe that will be enough for you, too. I do stir it each time I take a scoop. 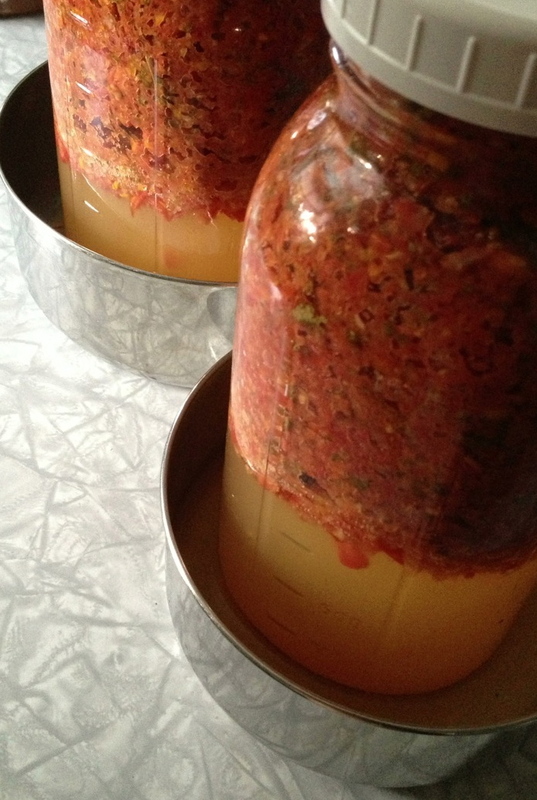 Have you tried straining the result to get a thicker salsa and then use the liquid to ferment into vinegar? It can also be made into a great hot sauce with a little tinkering. This solves the separation and makes two products for the price of one. Thanks for the suggestion, Peter. I really don’t have a problem with the separation, but the liquid is indeed tasty. The only thing that makes me hesitate to recommend your idea is that I suspect the liquid helps keep the ferment fresh over the months of storage. I no longer make canned salsa, so I count on this stuff to keep me through the winter, and the liquid becomes more deliciously sour as time goes on and the good bacteria multiply. Would this still happen without liquid? Not sure. But I do know that oxidation would increase, and I suspect spoilage too. Great blog, by the way!